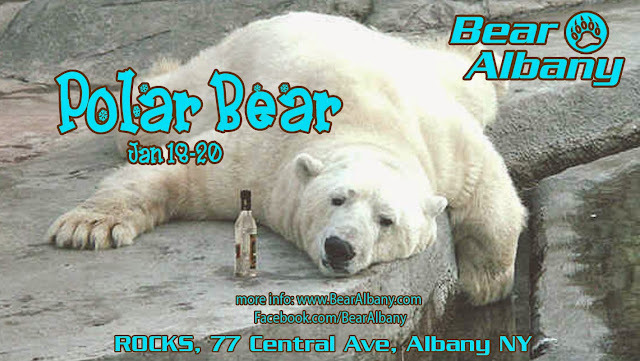 2013 is upon us and we're once again getting together to celebrate the end of the holiday season with our Polar Bear weekend. What better way to say goodbye to holiday music, tinsel garland, and family obligations, then to snuggle up with a bunch of hunky guys acting like big warm polar bears. The theme for this event is light and relaxed, so wear something that's a nice cool winter white or light icy blue colors to show everyone that you're calm, cool, and ready for our furry season of giving. Don't forget to pack your bathing suit so you can head down to the hotel's indoor pool for a warm and wet afternoon of lazy polar bears and beefy boys having fun. It's a great time to make new friends while getting in some R&R after the long holidays with family.